Valeur spacieuse et exceptionnelle! Tropical Garden & Ocean View! Nous vous accueillons dans les merveilles de Maui et J205, bien gérée, bien-aimé, et bien entretenu pour la maison de vacances. Une unité nouvelle, avec un plan d'étage plus grande, il est spacieux, lumineux, gai, et bien équipée avec tout ce que nos clients disent qu'ils ont besoin. Avant de partir pour une journée de plaisir en famille, profiter d'un petit-déjeuner tropical sur votre véranda avec un jardin luxuriant ci-dessous, bleu océan au loin, et le chant des oiseaux dans le fond. Après une journée d'aventure autour de l'île ou de détente sur une plage spéciale ou la piscine tropicale à 1 minute de votre condo, retraite à J205. Apaisez vos sens avec un verre de vin et un beau coucher de soleil de l'île de votre véranda. Terminez la journée par un dîner simple et détendue de steak de l'île ou le poulet grillé ou poisson frais; votre barbecue grill est à seulement 5 étapes loin de la copropriété. Savourez votre délicieux dîner sur la véranda avec une île brise complémentaire, les étoiles les frais généraux, et de vos lumières de fête de Lanai allumés. ..... Une autre journée spéciale parfaite et que vous prenez votre pause bien méritée d'une vie bien remplie, vous pouvez compter sur J205 être votre maison de base de confort. Pour avoir une meilleure idée de ce que J205 a à offrir, s'il vous plaît écrivez-nous pour nos complets Commentaires clients et pour notre site principal avec beaucoup plus d'informations et des photos de tous les aspects de la copropriété ainsi que notre galerie de photos Invité - un régal vraiment spécial, ou pour notre clients Q & A qui répondra à toutes vos questions sur précisément ce que vous pouvez vous attendre à J205 ainsi que dehors et environ à Maui. Nous nous soucions de nos clients et nous voulons que votre expérience Maui soit spécial! J205 vous, le perspicace, invité axée sur la qualité, et notre précieux partenaire accueille, à votre lieu de détente avec beaucoup Aloha. Thank you Gregg for letting us stay in your amazing condo. The condo itself is very quiet, you can not here the street, but you can see the ocean from lunai. We had all our meals there. The view is very good. The condo is very well equipped, you can find everything you can think of and even more :). Rooms are big and the beds are comfortable. Aircondition we were using during the day in the room. Worked well. The condo was clean as we've arrived. We 'very found 4 turtles on the beach ,which is 5 min walk from the condo. We were swimming and snorkeling there. Gregg is an amazing host. Hope to stay at your condo next time when we are in Maui. Gregg was awesome to deal with. Perfect communication and the unit was as pictured and as described. I Have stayed at this condo complex 5 times previous and I loved the Jasmine (J) buildings best. The view from J205 was perfect out to the gardens (immaculate) and the Ocean in distance and west Maui to the right... and the sunsets off the deck... PERFECT!!!! will be staying in this unit again for sure. We loved our stay at the Maui Kaumole. It was exactly what we hoped for, a two bedroom suite with the privacy of our own bathroom. Both rooms were large with lots of space for our clothes and personal items. This condo is ideal for two couples traveling together. It was not only clean, but has tasteful updated decor. The amenities are what make this place top notch; available snorkels, masks, beach towels, beach bags, nice beach chairs, boogie boards, ice chest, hats and more. While went out at night we also cooked a couple meals in. The available pans are excellent if you enjoy cooking and we loved sitting on the lanai watching the sunset 🌅�. Landscaping at this condo is so beautiful, I would put it all the top based on other condos visible from the street. The birds would greet us each morning with their songs. We paid for an awesome trip snorkeling trip to Lanai, but the snorkeling in front of the condo was just as good, plus a bonus we swam with turtles 🐢� 2x. In the evenings, we would hot tub, so fun. The pool is gorgeous. I am officially hooked on Kihei for it’s relaxed beach style town, but I loved the option to drive Lahaina & Kaanapali for excitement. There are numerous beaches within 10 miles of the condo, our favorite being Big Beach. The whales were really active and were almost always visible from the shore. I give this place a superior recommendation. Gregg the owner is really prompt with responses and can answer any questions. We will stay again the next time we visit Maui! Gregg was very responsive to any outreach I had to him. The condo was quiet, very clean, and we had everything you could possibly need (seriously, other than a playpen for the baby we needed nothing else) and we enjoyed every minute. The area has many things within a short distance (we love to walk so it was great to get out and get a cup of coffee everyday down the street) and the beaches in that area are fantastic. The sunsets are fabulous from the lanai. I would come back and stay anytime. Our family of 3 enjoyed our time in Gregg's unit. The check-in process couldn't have been any easier. Our teenage daughter loved her king-size pillow top bed in the downstairs bedroom. The condo was clean and well stocked. We would have loved to stay longer. We were particularly appreciative of Gregg's responsiveness in his communications. We'll definitely be back and would love to rent Gregg's unit again. Mahalo for a fabulous stay! We spent two weeks in this beautifully decorated and fully stocked condo. The sunset views from the Lanai were perfect! The condo is large, clean and the beds are very comfortable. We enjoyed the large flat screen in the living room during our downtime. Also very nice to have TV's in the bedrooms to for the kids. The BBQ's, pools and spas in the complex are very enjoyable. The white sand beaches and snorkeling on this side of the island are fantastic! We saw so many fish and turtles while snorkeling at the marine preserve just past our favorite Makena Beach. 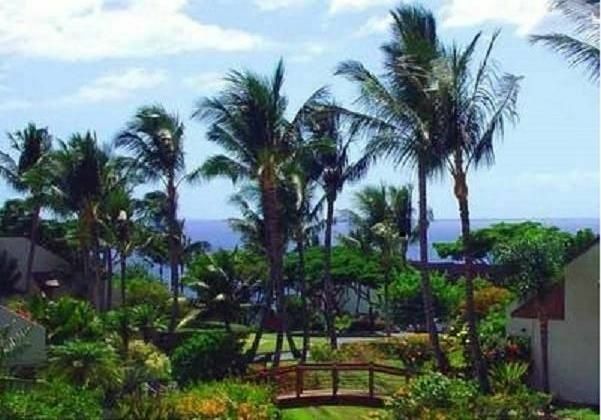 We are looking forward to returning to Maui Kamaole J205 next year!